Unlike any other vehicle storage company in the UAE, at Parc Fermé you will find a dedicated engineering facility where routine maintenance and complex mechanical and electrical repairs are carried out. Thanks to his many years of experience as an engineer and manager with Emirates Airline, Motaz Abu Hiljeh knows how important proper maintenance is for complicated machines. Under his careful, expert guidance, any car can be taken care of, whether it’s a simple fluid check or complicated repairs to a car’s engine, chassis or running gear. As part of any tailored storage package, Parc Fermé contacts each car’s owner or guardian to alert them of pending maintenance or scheduled servicing. Parc Fermé’s engineering facility is fully equipped with state-of-the-art hydraulic vehicle lifts that accommodate even the lowest super cars and, as with everything we do here, quality is a word we live by when it comes to working on any client’s car, no matter how old or how valuable. If your car requires maintenance or servicing while it is not in our care, at Parc Fermé that isn’t a problem. We offer a full, countrywide door-to-door collection and delivery service that fits around you, meaning disruption to your day is kept to an absolute minimum. Our passion for high level motor racing, and our enormous success in it, means that if you want your car tuned for greater performance, or to be prepared for punishing track days or competition work, there’s no other company more capable. We are always able to provide you with an exceptional range of tyres that meet any possible requirements – whether you use your car on the dunes, rocks, road or track. We’ll fit them, balance your rims and align them, too. In addition, we can source and supply almost all brands of wheels available on the market, from anywhere in the world. The correct wheels can make a huge difference to the overall look of any car and, whether you want to modernise a classic, find an original set of alloys as fitted when your car was new, or simply fancy a change of size, style or colour, the choices are only limited by your imagination. 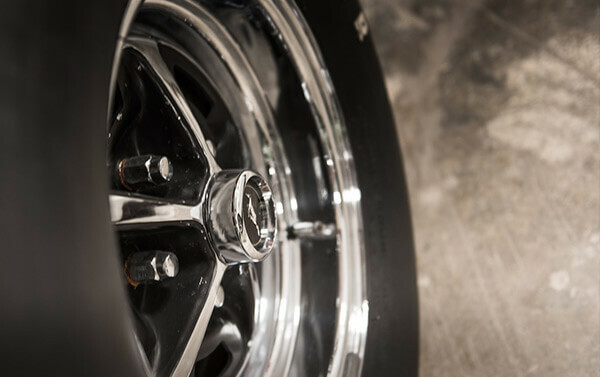 Even if your existing wheels have been damaged by kerbing, you can trust Parc Fermé to have them expertly examined, repaired and repainted so they’re like new again. At Parc Fermé we are able to take care of every aspects of your car’s appearance, inside and out. From localised paint repair and ‘door ding’ removals to full cosmetic overhauls and re-sprays, if you want your car to look its best or simply fancy a change, you can rely on us to take care of everything. If you want your car prepared to go back on the road, perhaps after many months or even years in storage, a full detailing programme will get it looking like new again. We can make sure it stays looking brilliant, too, by applying the latest technology in paint protection, to prevent damage from ultra violet rays, airborne sand and dust. Of course, if you want to change the colour of your car but not so that it’s permanent, we can apply the latest foils to ‘wrap’ your car giving it an entirely different look but one that can be taken back to standard whenever you wish. We are rightly proud of what we have achieved when it comes to looking after our clients’ interests but, if you really want to see what we’re capable of at Parc Fermé, take a look at some of the cars that we have restored. From vintage British sports cars to Italian exotica, the scope and breadth of abilities displayed when a car is restored from the ground up in our facilities is breathtaking. We leave no stone unturned when restoring cars for our clients. 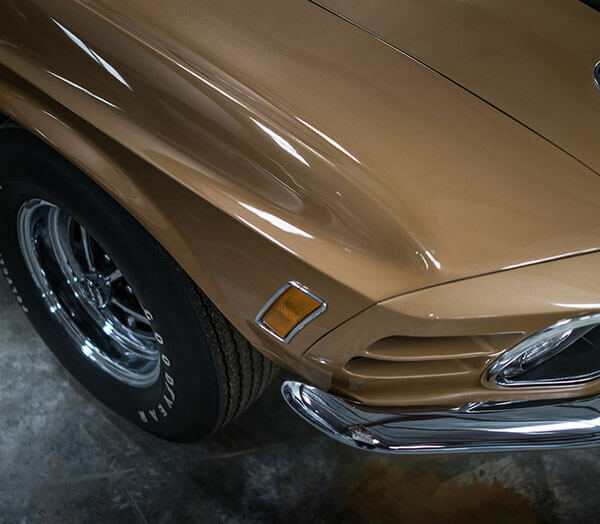 Whether a restoration includes subtle or extreme modifications, or if it’s a case of taking things back to the way they were when a car was brand new, we make sure everything is ‘just so’. 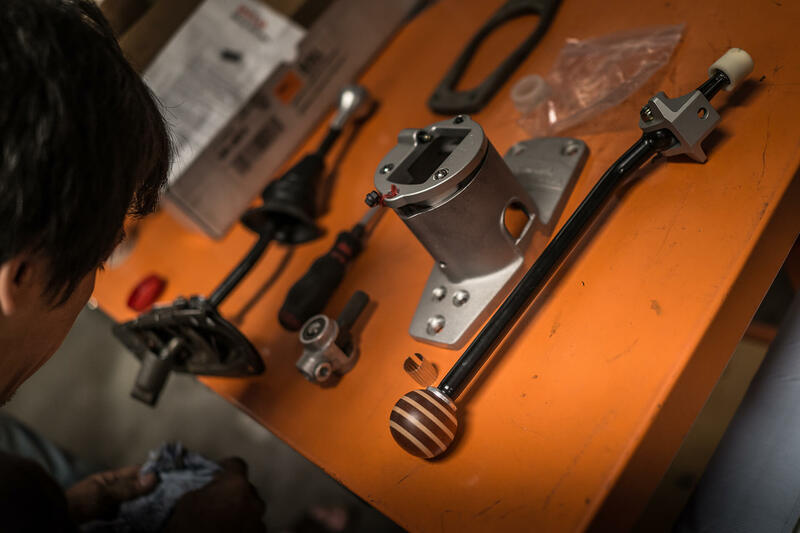 If a part is unavailable – as is so often the case when restoring rare classics – we have it made. Nothing stands in our way and it’s our background as engineers that drives us to be the best there is in everything we do. Our ability to collect and deliver your vehicle is not limited by national boundaries. Parc Fermé operates a worldwide full logistics service, whether you need to have a car relocated to Europe for the summer months, or you want to have your latest purchase shipped back home from elsewhere to the GCC. We work closely with several aviation companies, including Emirates SkyCargo, whose ‘white glove’ door-to-door service is a perfect match for the standards we at Parc Fermé adhere to. Your vehicle, no matter what it is, will be transported with utmost care and attention, delivered to its destination as if nothing had ever happened. For importing cars that are new to the region, whether new or old, Parc Fermé takes care of everything so you don’t need to worry – if you so wish, we can make sure that when your car is delivered, that it is registered, insured and ready to be driven. It’s all part of the service.